We don’t know. We have never received any sannyasin. We always receive kings, so we know the ways. So we are sorry, but now it will be too much insulting, because this is the greatest prostitute in the country — and very costly. And we have paid, and to say her to move and go will be insulting to her, and if you don’t come she will feel very much hurt. So come out. I know that I am not worthy of you, but you could have been a little more compassionate. I am dirt on the road; that I know. But you need not be so antagonistic to me. I am nobody — ignorant, a sinner. But you are a saint — why are you afraid of me? A new revelation has been given to me by the divine. I was afraid… must be some lust within me. That’s why I was afraid. But the woman defeated me completely, and I have never seen such a pure soul. The tears were so innocent and the singing and the dancing were so holy that I would have missed. And sitting near her, for the first time I became aware that it is not a question who is there outside; it is a question what is. That night he wrote in his diary that "Now I can even sleep with that woman in the bed and there will be no fear.” He transcended. That prostitute helped him to transcend. This is a miracle. Ramakrishna couldn’t help and a prostitute helped him. So nobody knows from where the help will come. Nobody knows what is evil and what is good. Who can decide? Mind is impotent and helpless. So don’t take any attitude: that is the meaning of being indifferent. 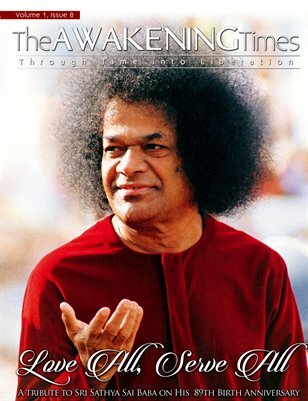 Can you please provide reference from The Complete Works of Swamiji or any other worthy books? This seems like a made up story without any reference.